Readers, have you been on a thrifty fashion escapade recently, made or repurposed an existing garment? Perhaps you've made something brand new from old? 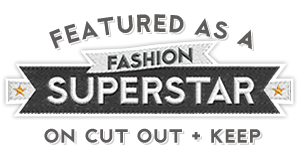 If you do link up, don't forget to grab yourself a Recycled Fashion Finds blog badge for your blog post or side bar, or link Recycled Fashion Finds in your blog post. Link up your thrifted finds or upcycled creations, into the inlinkz link below. Feel free to share more than one project or thrifty find, it's always great to see what you've been up to. 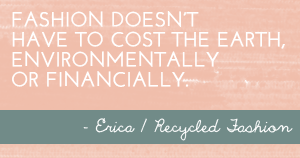 I really enjoy this link-up, thanks Erica! 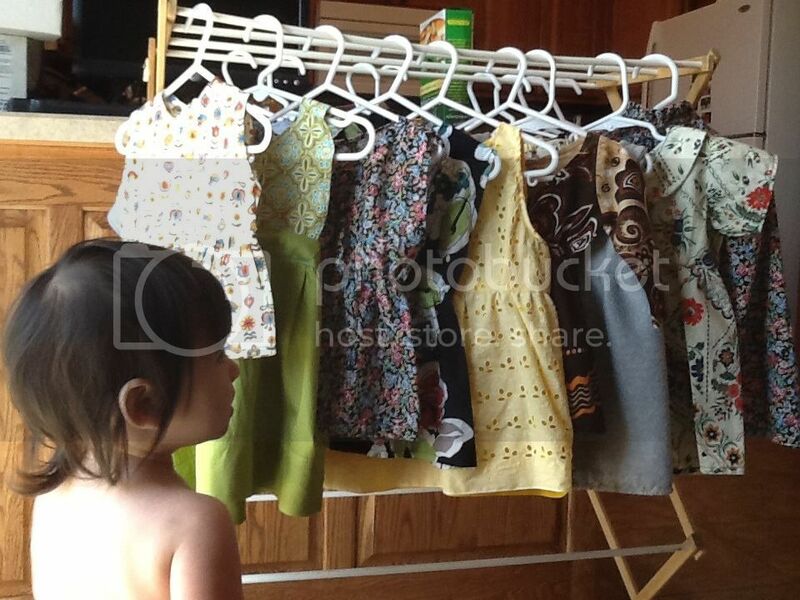 Lovely collection of handmade dresses what a sweet picture of your little girl! That is so awesome. Love Adin's work. I'm happy you still run this link up :) I popped my owls made from repurposed clothes and scrap vintage fabrics. The dark owl is a 1980's spotted dress, pink butterfly PJs, a cream dotted top and a black wool jumper felted for the eyes. The white owl is a piece of fabric I saved from my grandmas stash in the late 80s. It's from the 60s or 70s. Pink butterfly PJs and cream top again. The to die for blue rose fabric is from a $1 ugly vintage dress that might be from the 50s. The dark diamond print fabric is from my mums cutoffs stash and I think from the 70s. The babushka's is scraps from new fabric which I am turning into little dolls. I look forward to posting more pics in the next few weeks.